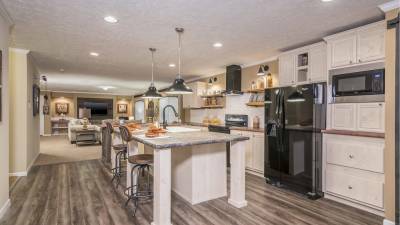 The manufactured homes available through Champion Homes simply borrow the same process on a larger scale. 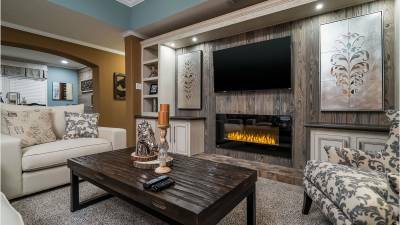 From pre-wired electrical and rough plumbing to finished carpentry work, our modules are delivered to your site with up to 80 percent of the home already complete. Observing the activity in the manufacturing plant, you will witness a measured and methodical approach perfected over decades. Painting comes next, followed by cabinet, door, window and fixture installation. Systems such as plumbing and electrical are completed and tested. Interior and exterior finishes are applied. We have over 45 years in the business and a workforce with 1,375 years of combined experience.